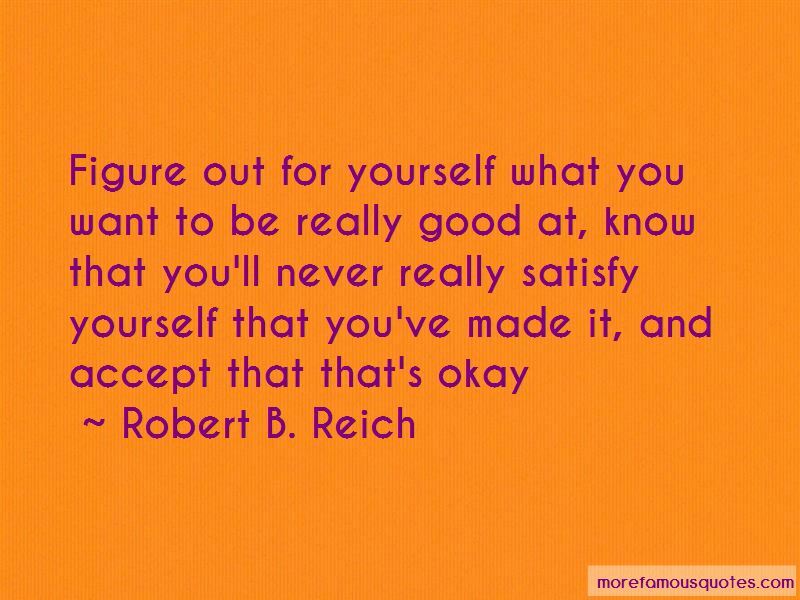 Enjoy the top 28 famous quotes, sayings and quotations by Robert B. Reich. 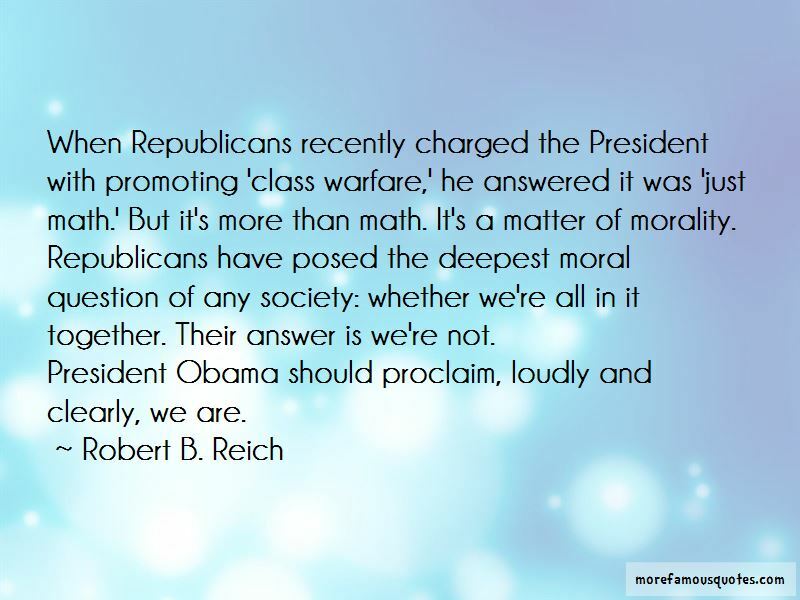 “When Republicans recently charged the President with promoting 'class warfare,' he answered it was 'just math.' But it's more than math. It's a matter of morality. Republicans have posed the deepest moral question of any society: whether we're all in it together. Their answer is we're not. A funny thing happened to the First Amendment on its way to the public forum. According to the Supreme Court, money is now speech and corporations are now people. But when real people without money assemble to express their dissatisfaction with the political consequences of this, they're treated as public nuisances and evicted. The problem is that the choice we make in the market don't fully reflect our values as citizens. We might make different choices if we understood the social consequences of our purchases or investments and if we knew all other consumers and investors would join us in forbearing from certain great deals whose social consequence were abhorrent to us. It is no great feat for an economy to create a large number of very-low-wage jobs. Slavery, after all, was a full employment system. Yet the notion that you're paid what you're "worth" is by now so deeply ingrained in the public consciousness that many who earn very little assume it's their own fault. Wall Street has blanketed America in a miasma of cynicism, and much of it is directed against Wall Street. The Street has only itself to blame. An economy should exist for the people who inhabit it, not the other way around. The purpose of an economy is to provide everyone with opportunities to live full, happy, and productive lives. Yet when most people come to view the economic game as rigged, this most basic purpose cannot be achieved. It is impossible to live happily in a society that seems fundamentally unfair or to live well in a nation rife with anger and cynicism. “If nothing is done to counter present trends, the major fault line in American politics will no longer be between Democrats and Republicans, liberals and conservatives. It will be between the "establishment"
Romney is right: free enterprise is on trial. But he's wrong about the question at issue in that trial. It's not whether America will continue to reward risk taking. It's whether an economic system can survive when those at the top get giant rewards no matter how badly they screw up while the rest of us get screwed no matter how hard we work. 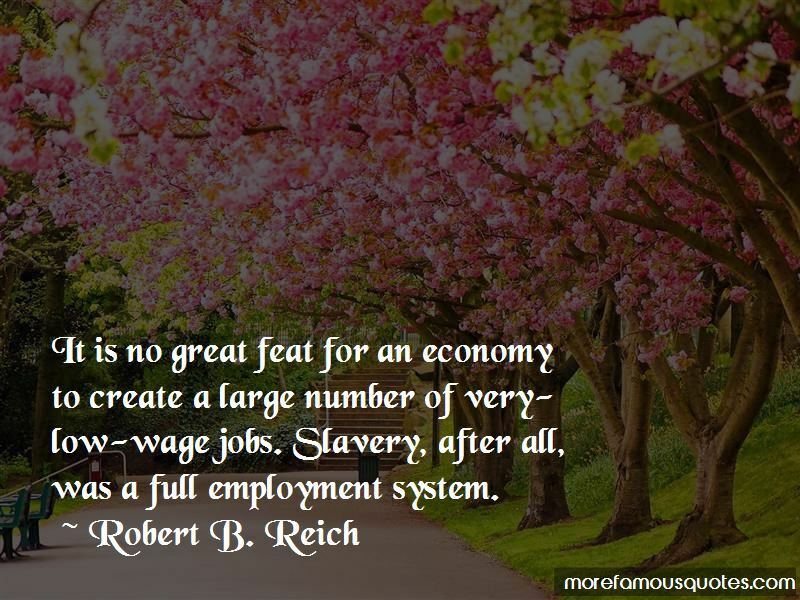 Want to see more pictures of Robert B. Reich quotes? 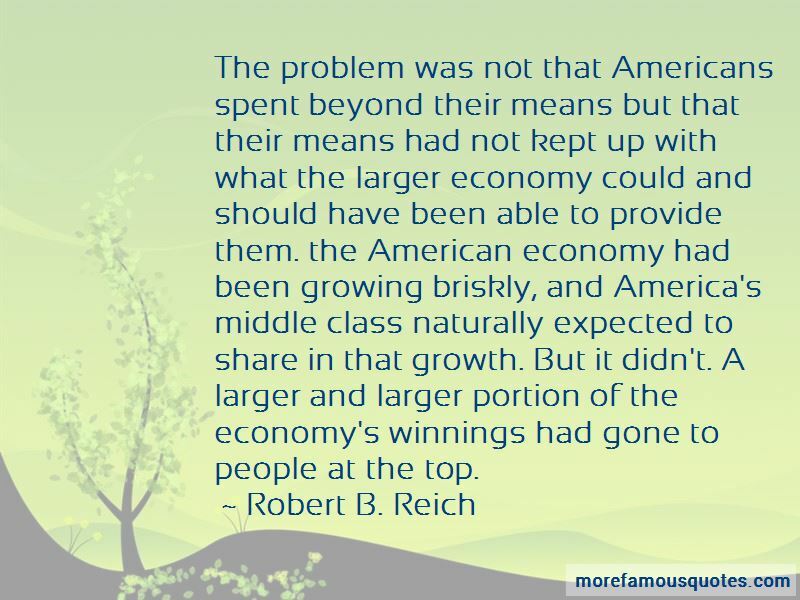 Click on image of Robert B. Reich quotes to view full size.